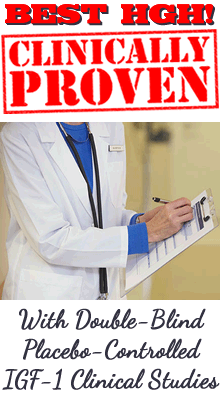 The Real HGH-Pro - by Lisa Wells, RN, Beware of Imitators! We have been the place to learn about human growth hormone and the different HGH therapies for 20 years and so I find my own writings and articles copied onto competitor's web sites, of course without my permission and without giving me credit. If you search for the term "HGH-Pro" at any search engine you will find that some competitors have actually named their own web sites a slight variation. One competitor chose the domain "HGH-Pro-human-growth-hormone. com" for his/her web site. Some competitors have also built their own "HGH-Pro" web page inside their own web site in the hopes that search engines will list their web page when our site is searched for. It is amazing to see the lengths at which some competitors have gone in order to compete with us! There is now even a product called HGH-Pro Formula that is not ours and has no connection with us. Our web site has existed since April 1999 and this product just came out recently so where do you think they got the idea for the name? This should give you some idea of how aware competitors are of us. Beware of Fake HGH-Pro Web Pages! We have also had reports of some other web sites masquerading as HGH-Pro. Some have built web pages that appear to be the same as our pages and they place our legitimate phone number on their pages. However, they also have a button where visitors can click to place an order online. The visitors think they are placing their online order with us but the link does not go to our web site, but goes somewhere else. https://www.hgh-pro.com - our main informational web site. https://www.problen.net - our secure online store. Any variation of these two domains will not be us so please do not give any private information to such a site and please notify us of that site so we can investigate. A customer of ours informed us that she found a web site that was offering our products for less. At the time she didn't realize that if she purchased from this site she would not be purchasing from us. When she received her bottles she couldn't find any mention of our name on the invoice, so she phoned us. We told her that no legitimate site sells our products for less. When she realized what was going on she called the person she ordered from and told him that she wanted a refund, and this was only one day after she received the bottles. The person flatly refused to give her a refund. He said that he gives no refunds. Such a purchase may seem smart at first, since you may save a few dollars. However, if you purchase our products from someone else you will not be eligible for our guarantee, you cannot even be sure that the bottles are legitimate, and you will also not receive free consults and support by a medical professional. How Do Our Products Compare to Others?